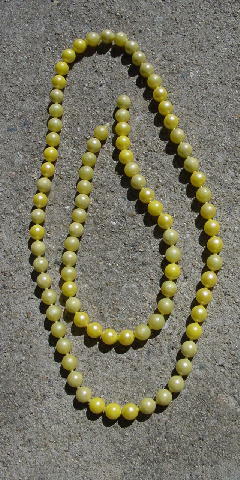 This vintage plastic round beaded necklace can be pulled apart and made to whatever length you want. They are in various shades of yellow. Over the years the coloring has come off or faded. 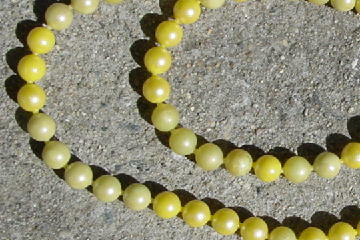 You can make the necklace into whatever color pattern you want, or size, or make bracelets. She had been saving them to pass on to her daughter. She has 2 sons and 3 grandsons.